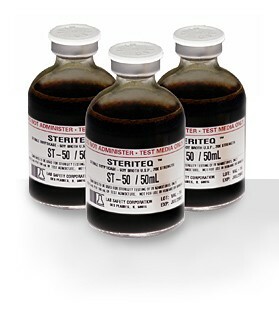 SteriTEQ Concentrate provides a USP <71> - compliant destructive sterility test for canceled or returned sterile products. The SteriTEQ multi-strength Tryptic Soy Broth is aseptically introduced in a pharmacy-friendly manner by the compounding operative directly into the end-product in the amount of 5 mL per 100 mL of en-product to be tested; thus, producing a 100 percent aliquot test of the subject. SteriTEQ Concentrate can also be used to routinely monitor the sterility of compounder source bags, tubing, and reconstitution pumps and equipment. Compare with USP Membrane Sterility Test. 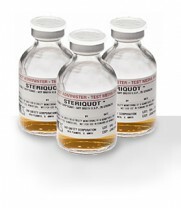 The SteriTEQ Concentrate provides a sterility test for canceled, or returned sterile products. 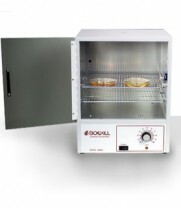 In this challenge, the entire product and its container become the Aliquot Sterility Test. 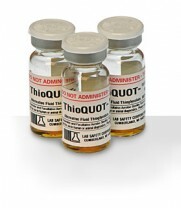 In a Pharmacy-friendly manner, the SteriTEQ multi-strength Trypticase-soy Broth, USP, is aseptically introduced by the compounding operative directly into the end-product in the amount of 5mL per 100mL of end-product to be tested, thus producing a 100% destructive aliquot test of the subject. The container is then incubated at room temperature (20-25 Degrees C) and read periodically for clarity, without the need for an incubator. The SteriTEQ Concentrate can also be used to routinely monitor the sterility of compounder source bags, tubing, and reconstitution pumps and equipment. 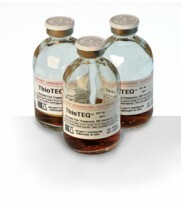 The SteriTEQ End-Product Sterility Test exceeds the test volume and dilution requirements of USP <71>.